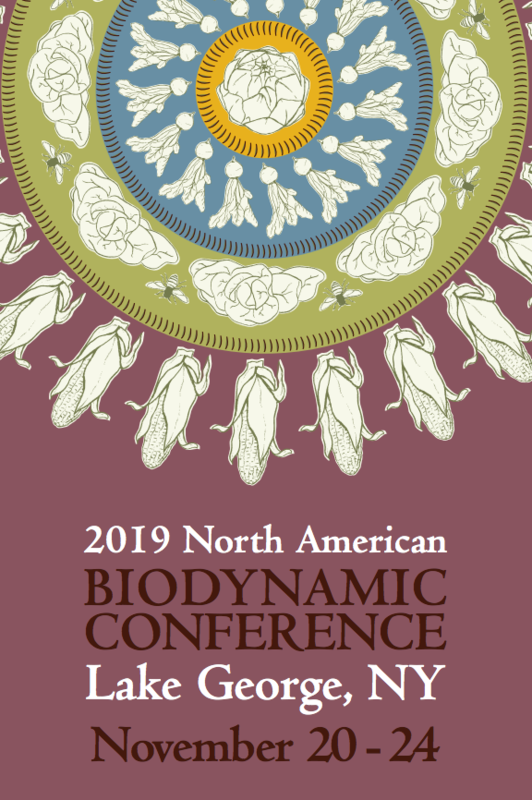 The Biodynamic Association was accepting workshop proposals until February 8th for the 2019 North American Biodynamic Conference, which will take place November 20-24 in Lake George, New York. The due date for adult conference workshops has passed. Please do not submit new proposals for adult workshops. We are still accepting proposals for workshops for children; the due date for children's workshops is March 31, 2019. You may also submit a proposal to showcase your research at our 2019 Research Poster session, full details can be found here. Proposals for workshops on any topic related to biodynamic agriculture are welcome, including but not limited to farming, gardening, land stewardship, soil, seeds, social justice, animal husbandry, economics, research, health, spirit, art, community, and culture. Half-day and full-day pre-conference intensives: Full-day pre-conference intensives will take place on Wednesday, November 20 and Thursday, November 21. Half-day intensives will be on Thursday morning and Thursday afternoon. Main conference themed workshops (series of three 90-minute sessions): New for the 2019 conference, we will start each day of the main conference (Friday, Saturday, and Sunday) with themed workshops. Each themed workshop will be a series of three 90-minute interactive sessions (one session each morning) designed to build a particular topic or theme over the course of three days, led by a team of 2-3 people, and incorporating multiple learning modalities such as movement, artistic activity, time outside, small group conversations, etc. These are not lecture-focused workshops. Participants will choose one themed workshop to attend when they register for the conference, and will attend the same themed workshop with the same leaders and participants all three days. Main conference breakout workshops (90 minutes): Breakout workshops will take place on the afternoons of Friday, November 22 and Saturday, November 23 (2 breakout sessions each day), and can be in the form of lecture, discussion, movement, and/or artistic or other interactive activities. If you are proposing a lecture format, we strongly suggest that within the 90 minutes, no more than 60 minutes are devoted to lecture, with at least 30 minutes for Q&A or other interactive activities. Collaborative presentations, interactive activities, and alternative teaching styles are encouraged. Proposals for workshops in Spanish or bilingual English/Spanish workshops are welcome. We also welcome proposals for workshops and activities for children. You may propose yourself as a presenter or nominate someone else to present. If you wish to propose multiple workshops or activities, please submit one form for each proposal. Please note that we expect to receive many more proposals than we can accommodate, and no proposal is guaranteed to be accepted. To save a draft of this form and return to finish it later, log in (or create a new account) at the top of this page before you begin and then click "Save Draft" at the bottom of this form before leaving this page. If you have any difficulty completing this form, or to request a printable proposal form, please contact Kaitlin Downs at kaitlin@biodynamics.com or 262-649-9212 x8. Please upload a photo that you have permission to use which represents the content you plan to share in your workshop. Note that photo may be cropped and included in a variety of online and print conference materials. Please select the format(s) that would be most appropriate for your proposed workshop. See descriptions above for more details. Which of the following topics will be addressed in your workshop? Please select the 3 most relevant to your workshop. The Biodynamic Association may make audio and/or video recordings of all conference sessions. Recording conference workshops allows those who are not able to attend the conference in person to benefit from the valuable information you will share in your session. Please let us know if you are willing to have your workshop recorded if accepted. Upload a photograph of presenter 1, ensuring file size is large enough for high-quality resolution. Please rename the file with presenter name in the format "FirstName_LastName" before uploading. Upload a photograph of presenter 2, ensuring file size is large enough for high-quality resolution. Please rename the file with presenter name in the format "FirstName_LastName" before uploading. Conference presenters receive discounted or complimentary conference registration, and in some cases meals, depending on the type and length of presentation. The Biodynamic Association can offer additional financial support to a small number of presenters. If additional financial support will be necessary in order for presenters to participate in the conference, please include details in the box below.